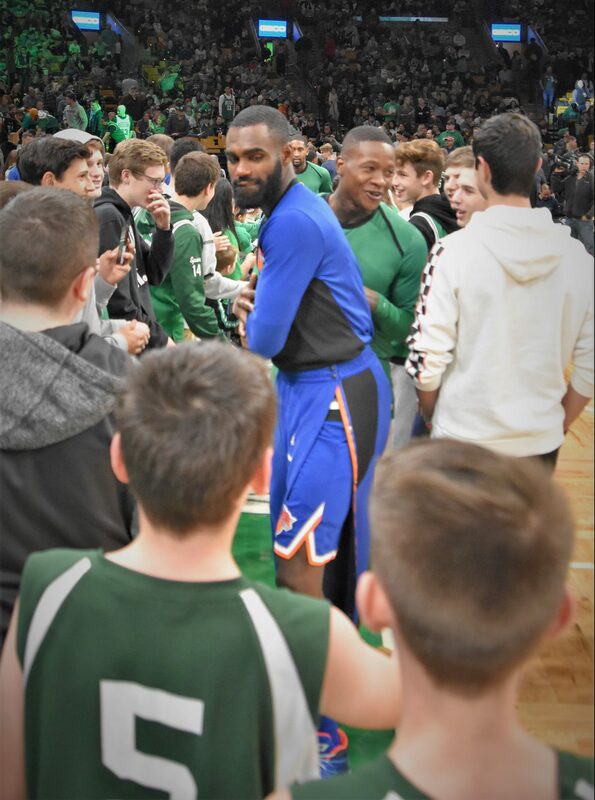 Boston Community Collaborative (BCC) coordinated an amazing on-court opportunity for thirty lucky kids at the November 21st Celtics game against the New York Knicks. The kids participated in the halftime high five tunnel. The tunnel is made up of two lines of kids who the players high five as they run out of the locker room after halftime. 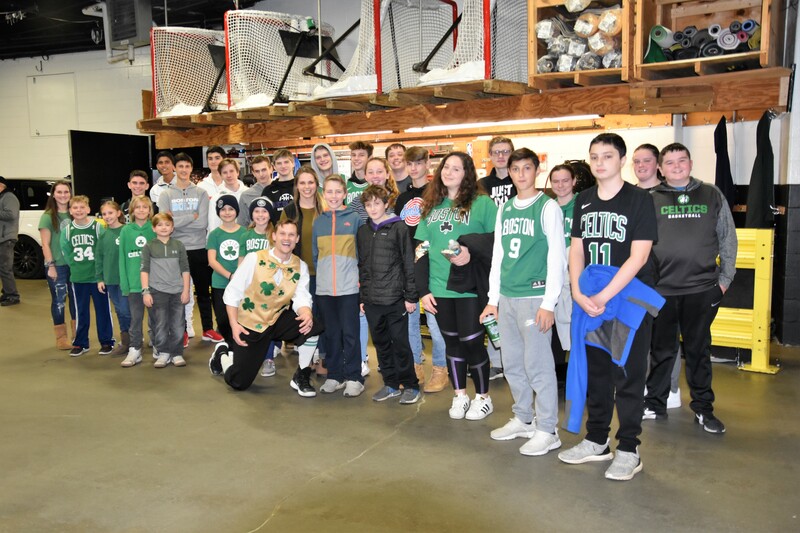 Because of a lucky scheduling situation, about half of the kids also got to experience the Anthem Buddies experience before the game. 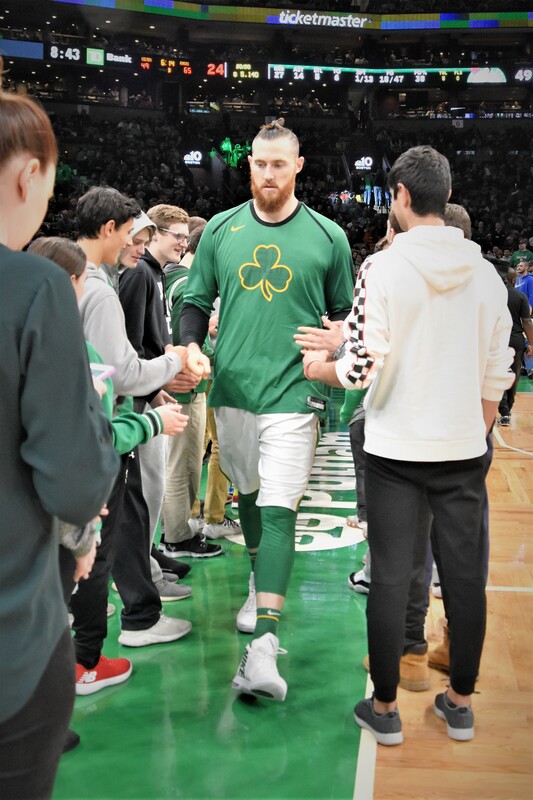 This is when the kids line up in front of the Celtics for the singing of the National Anthem. The game was an exciting one as the Knicks barely held on to defeat the Celtics 117-109. 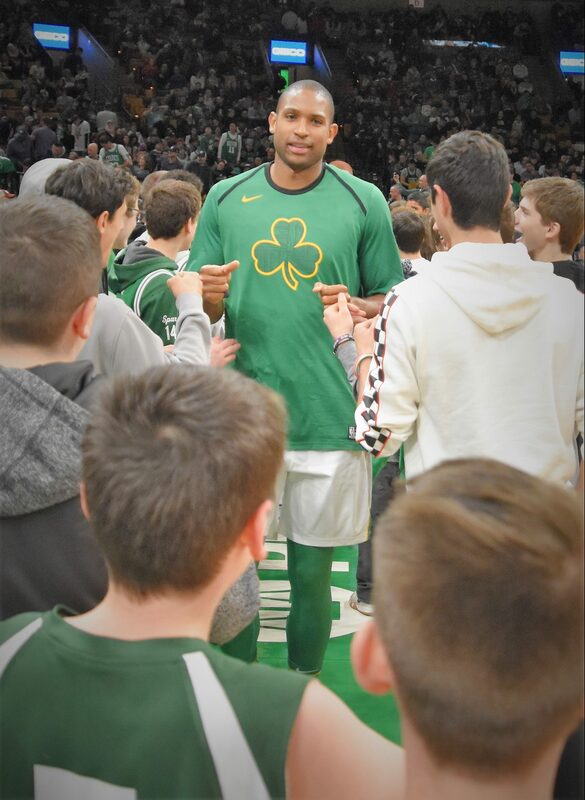 Celtics mascot Lucky, along with the flip dunking team, warmed up with a bunch of amazing practice flips and jumps right in front of the kids while they waited below the garden before going on court. BCC is thrilled to be able to facilitate such cool opportunities for kids! For more information on BCC after school courses and community events, contact becca0923@yahoo.com.